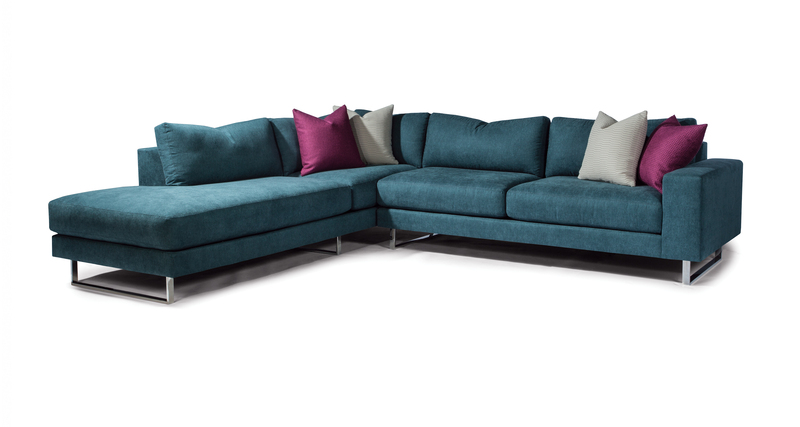 Designed by Guy Hill, our Mickey sectional sofa pairs crisp, modern sensibility with alluring comfort. Mickey's modern styling is enhanced by rectilinear, polished stainless or bronze legs. Choose from five modular units to mix and match. Select from any of our in-house curated fabrics or leathers for upholstery. W 105 | D 38 | H 27 in. W 80 | D 38 | H 27 in.